Manchester has been named the UK’s best place to live for the second year running. It is also the second most populated urban area after London making it the UK’s second city and capital of the north. It is a city that prospered during the industrial revolution and there are many buildings from those times which add beauty and character to the architectural landscape of the city. The Rivers Irwell and Mersey and the Manchester ship canal all flow through the city providing plenty of opportunities for waterside living with beautiful views. So why is it such a great place to live? FOOD – traditional local foods include Eccles cake and Black pudding, but because Manchester is a very cosmopolitan city it has embraced cuisines from around the world. In particular the famous Curry Mile is – to quote Wikipedia “the largest concentration of South Asian restaurants outside the Indian Subcontinent”. BEER Manchester has a long tradition of brewing and there are many small bars serving locally produced beer from large and small breweries. MUSIC AND NIGHTLIFE – Manchester is home to such bands as The Stone Roses, Oasis, and The Smiths and many more. It has a wide range of live music venues from the enormous Arena to the smaller Bridgewater Hall, Apollo and Academy. The heady days of the famous Hacienda club are now over but clubbing continues at the Warehouse Project, Sankey’s and the Printworks. 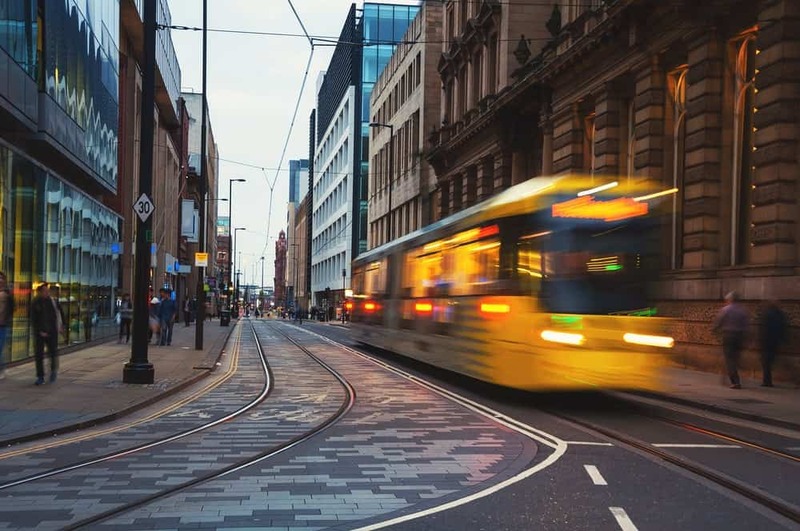 Plus there is lively night life centred on the gay village on Canal Street, in the hipster bars of the northern quarter, and the chic cocktail bars of Deansgate and Spinningfields. SCIENCE AND TECHNOLOGY-the city has become famous as the place where the atom was first split by Rutherford, the home of super-thin material graphene, and the home of celebrity physicist Professor Brian Cox. Also Alan Turing created the world’s first computer in Manchester. ART AND CULTURE – the city has a wealth of Museums, Galleries and Theatres. The newly refurbished Whitworth art gallery was recently named museum of the year. A new arts centre is to be developed at the Old Granada Studios to become the permanent base for the biennial Manchester International Festival. 6. SPORT – as well as having two world class football teams and home to Lancashire cricket club, the city has also become a centre of excellence for Cycling, Squash and Swimming. EDUCATION – Manchester boasts some of the best independent schools in the country. The city is also home to 3 Universities with over 80,000 students, which makes it one of the largest university populations in Europe. Manchester University is part of the elite Russell Group and has a staggering 25 Nobel Prize winners among its staff and students past and present. TRAVEL – The UK’s third largest airport is situated 7.5 miles south west of the city, with links to over 200 destinations worldwide. COUNTRYSIDE – the city is surrounded by magnificent countryside, -the gentle Cheshire plain, the rugged peak district and the rolling sand dunes of Formby. Plus The Lake District and the Yorkshire Moors are only a couple of hours drive away. COST OF LIVING-Despite being one of the biggest cities in the UK, Manchester is the 7th cheapest place to live in the country. The average house price is 4 times higher in London than in Manchester, while average salaries in London are only a 3 times higher than the capital of the North.